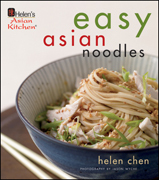 Welcome to Helen’s Asian Kitchen — an in-depth, quality resource for your own Asian kitchen. I learned to cook the old-fashioned way — from my mother. Developed through many years of culinary experience, this innovative collection provides the high-quality standards that serious cooks demand and every cook deserves. Join me in Helen’s Asian Kitchen and experience the romance and excitement of traditional Asian cuisine — without the mystery. More than 40 new Helen's Asian Kitchen products in utensils, stovetop, tabletop, cookware and housewares! 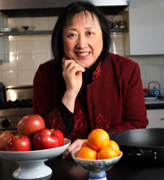 Helen's Asian Kitchen® is not affiliated with Joyce Chen Products.